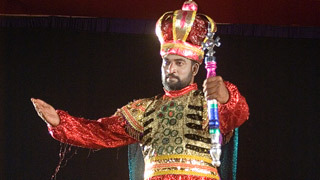 The costume is elaborate andthe faceis painted in vivid hues. 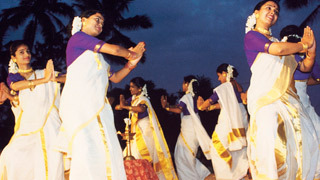 The Vesham or make-up is of five types - Pacha, Kathi, Thadi, Kari and Minukku. 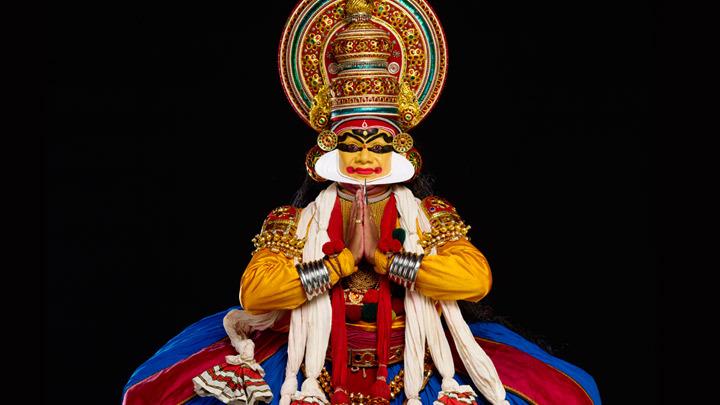 The pomp and magnificence of Kathakali is partly due to its décor, part of which is the kireetam (huge ornamental headgear) and the kanchukam (over sized jackets), and a long skirt worn over a thick padding of cushions. The artists completely immerse themselves and the audience into the story they're describing. 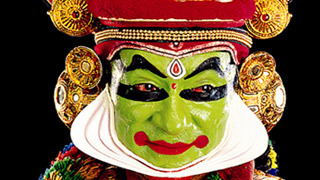 Pacha Vesham or the green make-up portrays noble protagonists. There are three types of beards or Thadi Veshams. 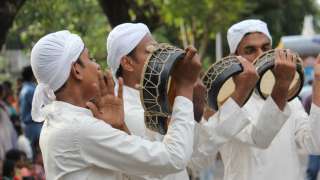 VellaThadi or White beard for superhuman monkeys like Hanuman. ChuvannaThadi or Red beard meant for evil characters. KaruthaThadi or Black beard for the hunter. Mudra is a stylised sign language used to depict an idea, a situation or a state of being. 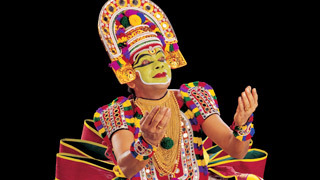 A Kathakali actor enacts his ideas through mudras. 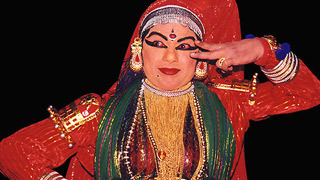 For this the actor follows a systematic sign language based on Hastalakshana Deepika, a treatise on the language of hand gestures. 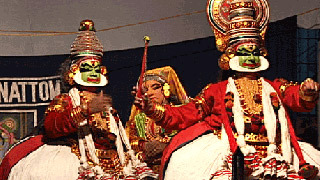 Kathakali said to have evolved from other art forms like Kutiyattam, Krishnanattam and Kalaripayattu. 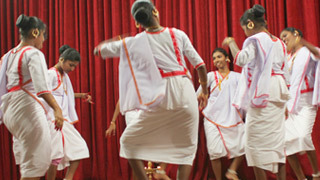 Kerala Kalamandalam is among the foremost centres for Kathakali training in the traditional way.